In the 1980s, only about 1 in 16 American engineers was a woman. That proportion is a lot higher in the Wong family. Of six sisters, five became engineers, and all five graduated with engineering degrees from Oregon State University. The five sisters are Pam Wong (’79 B.S.,Industrial Engineering), May Wong Knotts (’80 B.S., Mechanical Engineering), Sun Noble (’84 B.S., Civil Engineering), Michelle Wei Wong Lostra (’85 B.S., Civil Engineering), and Lai Wong-Smith (’86 B.S., Computer Science). and interest in math and science that drove them to succeed in their studies, and beyond. “I knew it was male-dominated, but I never thought that meant I couldn’t do it,” Pam said. There are nine Wong siblings — the six sisters plus three brothers, all but one of whom live in the United States. 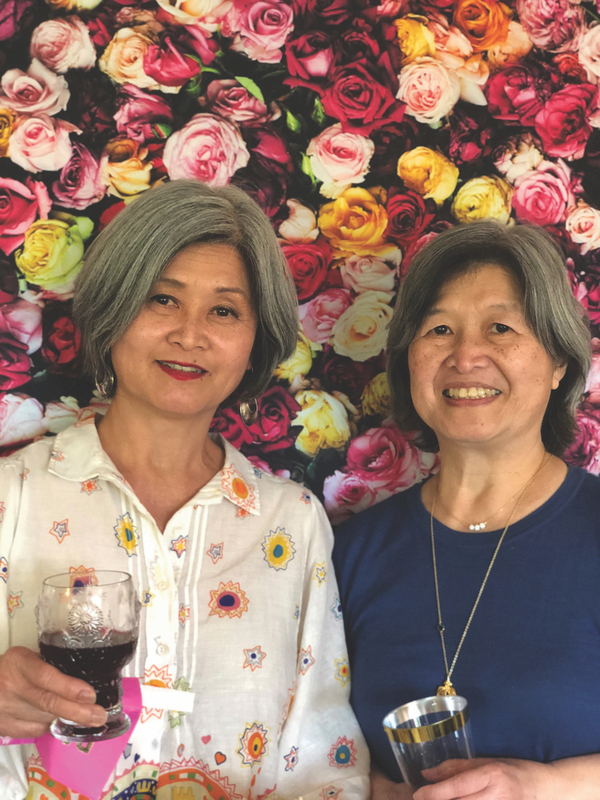 The family moved from the Malaysian state of Kelantan to Portland, Oregon, in the early 1970s, when the five sisters were between 8 and 14 years old. Their father died in 1974, at which point their mother took on the difficult task of single parenthood. The family didn’t have a connection to Oregon State when the eldest of the five sisters, Pam, decided to attend. 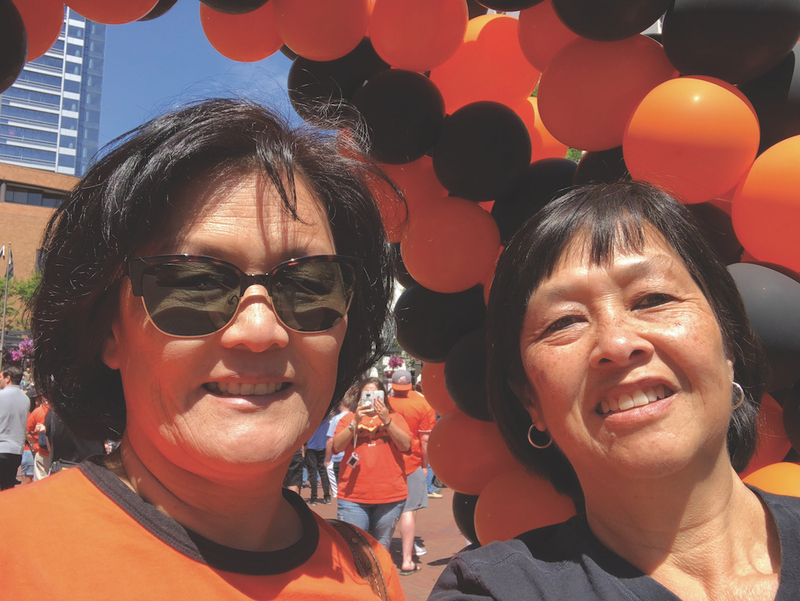 But now they are part of a legacy that includes 13 alumni or current Oregon State College of Engineering students — the five sisters, several of their spouses and in-laws, a brother, and some of the siblings’ children. “When I tell people how many of my family members are engineers, people say ‘Oh, you should open your own firm, thereare so many of you!’” said the youngest sister, Lai. One by one, each sister happily made the same choice as Pam. “I signed up for a dorm room at Oregon State before I was even officially accepted,” May said. Pam was a sophomore when May was a first-year student, and the two sisters lived together during Pam’s senior year. When May was a senior, Sun started her first year. Michelle started the next year (and she and Sun lived together for two years), followed by Lai a year later. “I think being younger and further down the line and interested in engineering made going to Oregon State an obvious choice,” Michelle said. and works at an elementary school. Sun and Michelle, along with their youngest brother, also an engineer, went to work for the city of Portland. Sun spent her entire career — more than 30 years — there, in the Bureau of Environmental Services and the Portland Water Bureau, before retiring in 2015 as a supervising engineer. 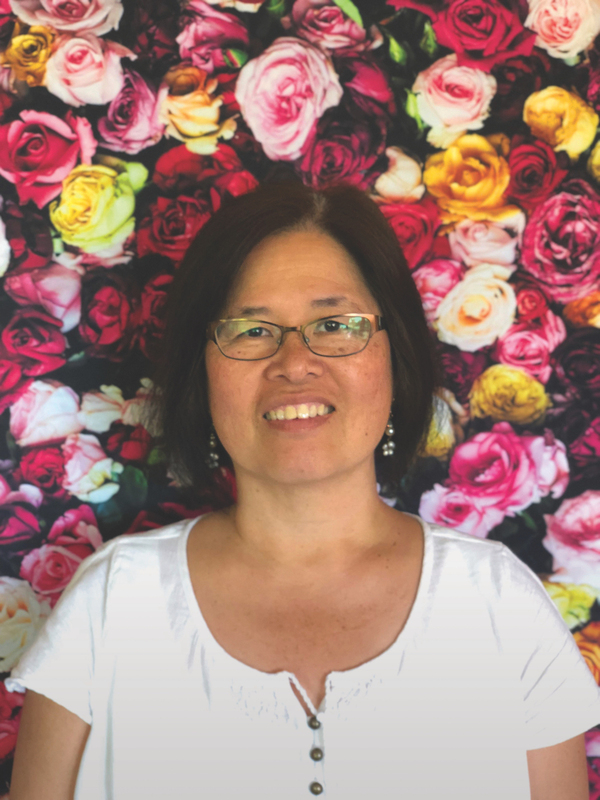 Michelle has also worked for the city for about 30 years, including 20 years at the Bureau of Environmental Services and the last 10 years at the Portland Water Bureau. Like her sister, she is a supervising engineer. Though it’s a large institution, the two women worked in the same building, on the same floor for a time. Lai lives in Seattle, Washington. She worked for Boeing for 14 years, followed by about eight years at a small software company that was bought by IBM during her time there. The sisters cherish the time they spent at Oregon State. Activities like intramural sports (including, for Sun and Michelle, the College of Engineering softball team) gave them an outlet for stress and helped them meet new people. They think back fondly on evening classes in which they learned things like woodworking and self-defense. Many of these experiences, though not directly related to their degrees, still helped them in their careers. “It makes sense you want to focus on the engineering classes, but taking other classes and becoming a well-rounded person is really important in how you do in your career,” Sun said. She and Michelle both found that communications skills they developed through electives and extracurricular activities gave them a leg up on colleagues who hadn’t developed those skills. Though women still make up fewer than 20 percent of America’s engineers, the sisters have seen more women enter the field and more opportunities become available to women. They strongly encourage young women to go into engineering.